Founded by life-long martial artist, Bruce Corrigan, in the late 1980s, Progressive Martial Arts Academy is the most respected martial arts and self defense studio in the area. The Corrigan family's first school was opened in Virginia while Bruce was in the United States Navy. In 1998 the Corrigan family moved to East Tennessee where they have lived and taught martial arts ever since. PMA Oak Ridge was opened in 2005 and is owned and operated by Bruce Corrigan's son, David Corrigan. To be an advocate for positive change in our student's lives and communities. 1. To enrich our students' lives through the study of martial arts. 2. To strengthen our community by developing the character of our young students. 3. To uphold and pass on the techniques, traditions and philosophies of the martial arts as taught to us. 4. To present a progressive martial arts curriculum and fighting style in a safe manner, with respect for all individuals, resulting in a calm, confident, and courageous student. David developed a passion for martial arts at a very young age. His earliest memories are on the mat, as he began training alongside his older brother, Nick, at the age of 5. David grew up watching his father, Bruce Corrigan, teach classes, first in the military town of Virginia Beach and then all over the country teaching seminars. 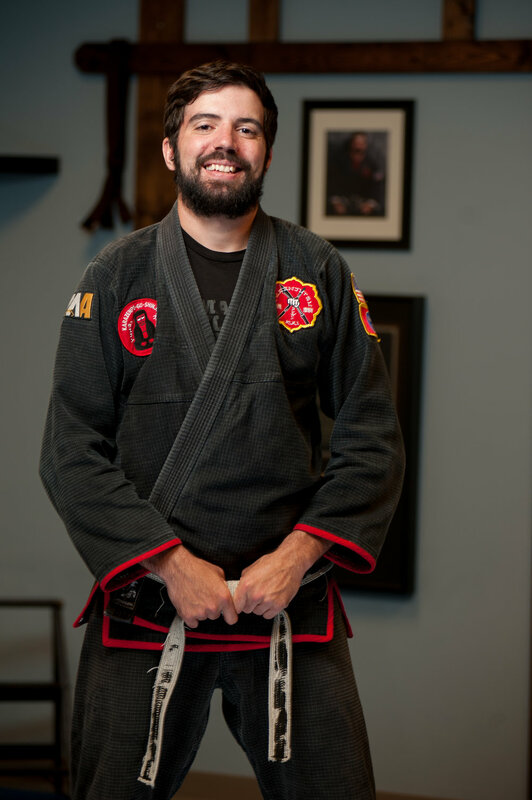 David has a robust martial arts background that includes experience in Kenpo, Filipino Kali, Jun Fan Kickboxing, Jeet Kune Do, Wrestling and Brazilian Jiu Jitsu and has commited to upholding the legacy that was started by his father. He has dedicated his life to continuing his own journey in the martial arts, while passing down the knowledge that was acquired over many years of working one-on-one with some of the world's most renowned martial artists such as: Bruce Corrigan, Pedro Brandao Lacerda, Paul Vunak, and Felipe Costa. In 2008, David was inducted into the United States Martial Arts Hall of Fame, alongside his brother, Nick Corrigan, and father, Bruce Corrigan. In August of 2014, David launched Trap2Tap, a revolutionary new martial arts curriculum that brings together the grappling and trapping concepts from the arts that he is trained in. David holds a BA in Organizational Leadership through East Tennessee State University. B.A. Organizational Leadership - E.T.S.U. We call our method of teaching FILKENJUTSU, founded by Bruce Corrigan. an acronym created from the names of the major Martial Arts concepts that are integrated into our Kenpo system - specifically; FILipino Arts, KENpo Karate arts, and JUdo/Jiu JiTSU. Read more about each of the martial arts we teach below. *In 2010, our BJJ instructor, Pedro Brandao Lacerda, tragically passed away at the age of 30 due to a brain aneurysm. Click here to read his amazing story. The Corrigan family is now under the tutelage of Felipe Costa in the constantly evolving sportive aspect of Brazilian Jiu Jitsu. The Filipino Martial Arts, Jeet Kune Do (Bruce Lee's style), and Kickboxing are often taught side by side and blend together very well to teach a student how to effectively fight from all ranges of a standing fight. * Bruce Corrigan also trained heavily in the Filipino Martial Arts under Carlito Lanada and in Kickboxing under Blackhawk Walters. With over 30 years of martial arts experience, SiJo (founder) Bruce established one of the first integrated martial arts curriculums in the country. SiJo Bruce is a retired military officer with 22 years of military service as both an enlisted man and a commissioned officer. As a Naval Officer, SiJo Bruce achieved professional qualification in both Surface and Aviation Warfare within his designated specialty of military logistics. He was also the recipient of a full graduate scholarship, and completed an MBA and MPA while on active duty. SiJo Bruce served onboard five Navy ships, was a member of the Multinational Peacekeeping Force during the Lebanon conflict, and served during Desert Storm. After achieving his first Black Belt, SiJo Bruce began the lifelong study of Kenpo. Beginning in the early 1980s, SiJo Bruce began augmenting his Kenpo studies with intensive training in Kickboxing and the Filipino Martial Arts. Later, SiJo Bruce began the study of Jeet Kune Do; and in the early 1990s, he began training in GRACIE system Brazilian Jiu Jitsu. 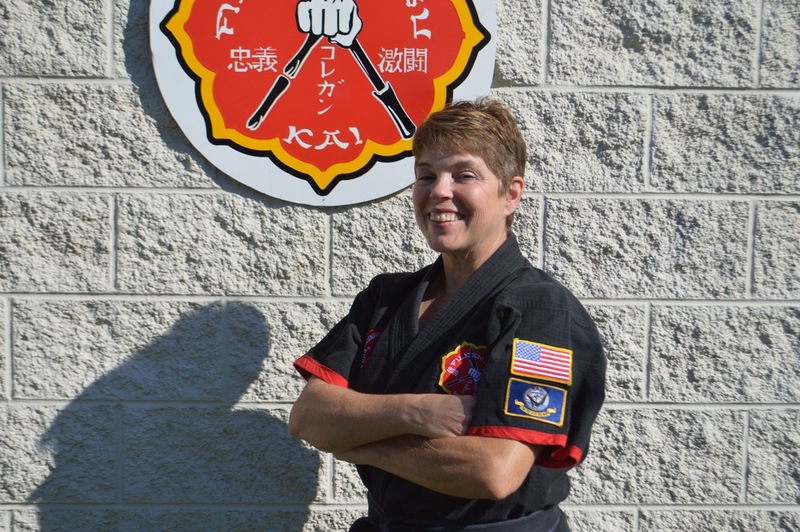 SiJo Bruce is certified to teach the following: Chinese/Hawaiian Kenpo, KAJUKENBO, Jeet Kune Do, Filipino Kali, Judo, GRACIE Brazilian Jiu Jitsu and Kickboxing. 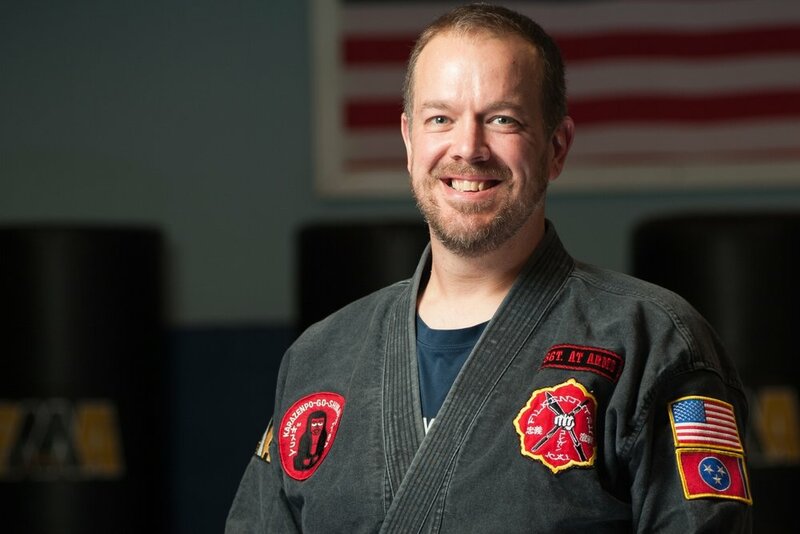 SiJo Bruce’s military career allowed him to study aspects of many martial arts disciplines in their county of origin, and with many of the best instructors available. SiJo Bruce has been featured in several articles in Black Belt Magazine, Inside Kung Fu, and the New York Times Magazine. He has also been the featured martial artist in over 6 specialized self defense DVDs for PFS Video Productions and has been a sought after trainer for countless military and law enforcement personnel. Bruce now operates Fusion Martial Arts Club, an adult only martial arts studio in Knoxville.